Rotherham United came from one down to get all three points against Swansea City at a blustery New York Stadium this afternoon. The Match Sponsors gave the Man of the Match at the Stadium to defender Joe Mattock and, to be fair, he didn’t do a lot wrong but I think there are other players we could also mention. The first half was, in my eyes, we can write off as nobody barring goalkeeper Marek Rodak did anything worth talking about. But the Millers came out better in the second half and did enough to win two penalties to win the game. 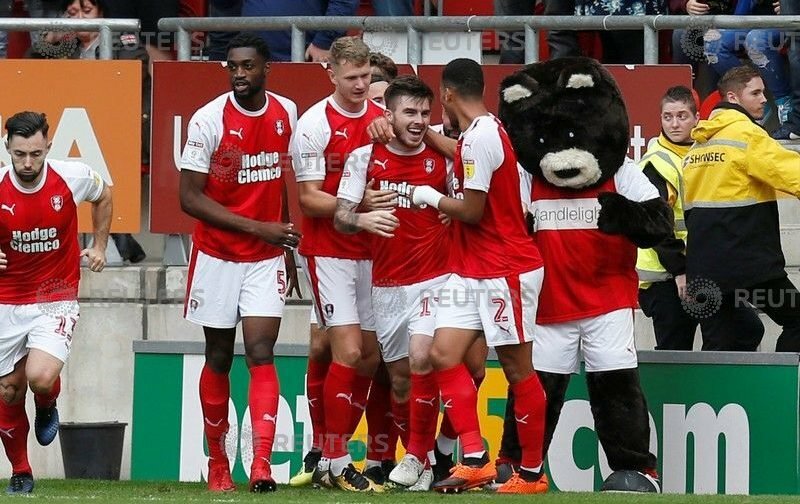 Ryan Manning, who had come on at the start of the second half, from the subs bench had no hesitation in picking up the ball and scoring from the penalty spot – twice. And say what you want about Ryan Williams but he always keeps going, doesn’t stop. Semi Ajayi and Clark Robertson are playing better and better together the more they play while Richie Towell, like Mattock, didn’t do a lot wrong. If I had to pick a Man of the Match though, it would be Rodak with his saves keeping us in the game.